House! 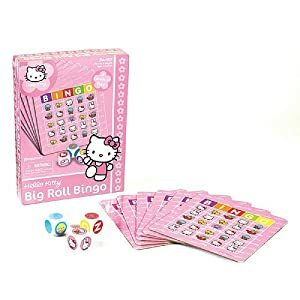 This fun bingo game’s just what Hello Kitty fans need for birthday parties or sleepovers. It’s also a great stocking stuffer, Hello Kitty party game prize, or collectible. Always be sure to check eBay listings — often the item you want isn’t even listed on Amazon! See more Hello Kitty games and accessories! If you own Hello Kitty Bingo, please rate it by clicking on the Comments link below the eBay listings.